Plenty of companies out there offer vehicle history reports, but more often than not said reports are only as good as the incidents that have been previously documented. 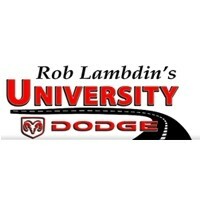 Here at University Dodge we value your peace of mind and feel you should have access to the most accurate information while shopping for a used car – that’s why we rely on TrueFrame. TrueFrame takes the guesswork out of car accident reports by going above and beyond to check that vehicles are structurally sound, especially in the case of any prior accident history. All inspections conducted by TrueFrame involve an extensive review of the vehicle, but an actual TrueFrame report is only available to vehicles that meet the company’s strong structural standards. TrueFrame informs dealers and their customers alike about any replaced body panels, if there’s any non-factory paintwork present on the vehicle, or if there is any other exterior cosmetic damage to the vehicle – all in an easy to read, informative report! What makes TrueFrame stand out? Unlike common vehicle history reports that are based on information gathered from police and fire departments, auto auctions, and motor vehicle departments, TrueFrame offers a comprehensive collision inspection. TrueFrame is entirely dedicated to providing peace of mind to prospective buyers by helping them make an informed decision. Vehicles that do not qualify for the TrueFrame Structural Standards are not eligible to receive a report whatsoever. Additionally, TrueFrame offers a guarantee in which if the technician were to err in their frame/unibody measurements by more than 5 millimeters, TrueFrame will issue a refund of your purchase price of the vehicle. They make accuracy their priority so that clients can rest assured they’re making a sound vehicle purchase. Rules and regulations apply. Everyone knows that shopping for a used car can be intimidating, but TrueFrame’s comprehensive vehicle inspection has all the facts anyone needs to make an informed decision. Feel confident when shopping for your next used car. Look for the logo below when browsing our used car inventory to open up a TrueFrame report.